About 320 yds east of Oxford Circus, on the north side of Oxford Street. The Garden of Eden was a little closer to Oxford Street when the Adam and Eve tavern stood here. It was probably part of the landscape throughout the 17th century, occupying a rural setting just to the north of the 'Tyburn Way' or 'the way to Uxbridge' which we now know as Oxford Street. Its actual location was about 50 yards north of the main road which on today's layout would be about two thirds of the way into the Court. At that time, the Court itself was a rough track forming the only convenient access to the tavern. This was, of course, before Edward Harley, William Berners, and sundry small-time land owners commenced developments in the 1720's. The Adam and Eve tavern survived until about 1746 when the new competitive environment overtook it and survival became impossible. In the same year, houses began to spring up along the dusty access road, heralding the transformation from rural to urban, and Adam and Eve Court was hatched into life. Nearby, on the north side of the tavern, was the 'Boarded House', an amphitheatre style building run by celebrated swordsman, James Figg. At this venue he staged contests between a variety of local masters of the art, among whom he was the central and most popular attraction. Along with cockfighting, fencing and bare-fist boxing were the most popular crowd-drawing sporting event of the period and the Oxford Street area had some of the top ranking venues. In 1725 Figg had a dispute with his landlord; it happened late one night when, against all odds, Figg had beaten off the unquestionable favourite. Seats were thrown into the arena and the riotous crowd lurched forward as Figg waved his sword in triumph; he could have decapitated his opponent but left that to the mob. As the victor made his exit, the stillness of the outside air became alive with uncontrollable brawling. By the time James Figg was back in his billet, a matter of yards away, the noise had reached a deafening rate of decibels and as he sipped the dregs of his coco, a thundering rap caused him to nervously pitch the cup in the air and jump to his feet. Thinking it to be a gang of rioters he took up his sword and poised himself as he flung open the door. To his astonishment he was confronted by his landlord, clad in winceyette shirt and night-cap. At the risk of being lynched, the man hailed forth his command to quit the 'Boarded House' without further ado. 'Enough is enough', he raged, tightly clenching his fists. Of course, this was no hardship to Figg; he had already been contemplating opening a hall at the rear of his house, just to the east of the Adam and Eve tavern. Within weeks the new venue was in operation and from these premises James Figg boldly advertised himself as 'Master of ye Noble Science of Defence' and taught the skills of swordsmanship to wealthy clients. Those wealthy clients no longer come for instruction in sabre rattling, although - perhaps not quite so well endowed - they still pass across the entrance to Adam and Eve Court in daily droves; the shop keepers of Oxford Street certainly prosper from the seemingly endless queues eager to dispense with the contents of their wallets. Adam and Eve Court shares none of these generous contributions although it is one of the Oxford Street courts that has everything going for it; there is the potential here for creating another Gee's Court or even St Christopher's Place. At the present time the only trading which takes place here is in the form of the small souvenir stall on the corner of Oxford Street. Beyond this, a narrow covered entrance leads onward, where the back-drop is a scene of - not exactly neglect, but rather of being over-looked. Whilst the summer hanging baskets suspended from the gas-style standard lamps are a step in the right direction, it is like adding the seasoning before the meat. At the northern end of the Court, as though strictly for the use of those who pass along Eastcastle Street, are four telephone kiosks. Bus: 11 23 to Old Broad St. Or any to the Bank. From Bank Station walk along Threadneedle Street (on the north side of the Royal Exchange). At the Stock Exchange branch left along Old Broad Street, and turn right in about 70 yds. When Thomas Adams lived here, his court was a good deal prettier than can be said of it today. We are led from Old Broad Street through a dirty stone archway forming the entrance to the Court and on to a collection of grimy, drab buildings just crying out for renovation. However, this is only the beginning and better things lie ahead. Further along the Court we pass through a wrought iron gateway and up a short flight of steps into a pleasant little brick built garden. There are plenty of seats dotted about the shrubbery but they are soon filled on sunny lunch times by workers from the surrounding modern offices. Adams, of course, never knew this - it is of quite recent construction, created to add a little greenery amid what would otherwise have been a characterless concrete jungle. Until the change took place Adams Court used to continue left to link up with a passageway running between Old Broad Street and Threadneedle Street, just to the west of the Natwest Tower, but even that has passed into extinction. Thomas Adams probably moved into the Court about 1642, the year he was elected as Master of the Drapers' Company; their Hall has stood just across the road on the north side of Throgmorton Street since 1541. As a Sheriff of the City of London in 1639 he was elevated to the Court of Aldermen and from there went on to become Lord Mayor in 1645. At the time of the Civil War Adams remained a faithful subject of his sovereign but suffered the consequences when the Roundheads suspected him of harbouring the King. They searched his house from top to bottom without turning up as much as a trace of evidence, but still took him captive for holding staunch allegiance to the Crown. After a gruelling spell in clink he was portrayed as a martyr by his fellow royalists and later played his part in restoring Charles II to the throne. From St Paul's Cathedral begin walking down Ludgate Hill and turn right into Ave Maria Lane. Amen Corner, then Amen Court are a little way on the left. Many of the highways and byways around the precincts of St Paul's Cathedral bear names which have ecclesiastical origins. It is very likely that Amen Court housed the scribes and letter writers employed in writing the great volumes of the Cathedral. Reputedly built by Sir Christopher Wren, Amen Court is a secluded little solace hidden away behind Ave Maria Lane. This charming little Court contains the late 17th century houses of the residentiary cannons of St Paul's Cathedral, some of which still retain the original torch-light extinguishers, positioned by their doors. One or two are further graced with old iron foot scrapers. Tucked away at the far end a pretty garden adds the finishing touches to this tranquil setting. Before the Great Fire, the ground on which Amen Court is constructed was occupied by the Oxford Arms, one of the many galleried coaching inns of the City. All were built on a similar style where the galleried rooms, usually of two storeys, bordered three sides of the court and the fourth side was built up with stabling. In the Oxford Arms courtyard the stables lay on the west side, up against the Roman Wall. The old inn was burnt down in the Fire but as the cogs of commerce once again began to grind and as the construction of new St Paul's Cathedral was taking shape, the Dean and Chapter rebuilt the inn on the same site. Adjoining the inn, on the site of part of the old courtyard, they built the cannons' houses with a connecting door to the inn. In a later lease of the inn it was stipulated that on no account was this door to sealed up or barred. The Oxford Arms inn is long gone; like the rest of the old coaching inns of London it rapidly lost trade when the railways claimed a foot-hold in the carriage business and the Oxford stage was forced off the road. It is unfortunate that we mortals do not have the run of Amen Court; it is protected by a high gate and the only means of gaining access is by prior application to the Dean and Chapter of St Paul's Cathedral. On the north side of Old Street about 1/3 mile west of Old Street Station and about 80 yds east of Central Street. During they 18th century the popular Anchor Tavern graced this part of Old Street. A good old drinking den where the local pigeon fancier could get on his soap box and air his views about government policy or anything else that stuck on his chest. In those days the Yard was much larger than it is today, probably with an opening wide enough to accept a dray cart. Here would have stood the empty wooden hogsheads awaiting collection on delivery day, and on summery evenings there would very likely have been multitudes swilling jugs of ale while looking on at a friendly skittle or bowling match. For nigh on 200 years the Yard has been without its tavern; the Anchor was demolished at the beginning of the 19th century and with the passage of time it has lost much of its character. Attractive Wenlake Cottage, at the end of the Court, while appearing just a trifle out of place, helps to convey a trace of gentle antiquity to what could quite easily become a typically uncared-for Old Street yard. Immediately to the west of the Yard, by Anchor House, a small patch of railed grass supporting a solitary tree seems determined to contribute a touch of rurality to an area that last saw ploughmen and yokels over 300 years ago. From Bank Station walk along Threadneedle Street, past the Bank and turn into Bartholomew Lane. Continue to the end of the lane and cross to the north side of Throgmorton Street. Turn right and Angel Court is on the left, opposite number 1 Throgmorton Street. Although there is little laid down in the history books, Angel Court has been here for many centuries. It is the site of the long gone Angel Tavern and later, Birch's wine-house where for over a century the soup course was prepared for Lord Mayor's banquets. During the 18th century 'Angel' was one of the most common names given to inns and taverns. Consequently the number of courts and yards that sprung up in the City of London under that name must have caused a great deal of confusion. There now remain but two byways called 'angel' within the City, the other being Angel Passage EC4. All the others have either been the victims of redevelopment or have been renamed. 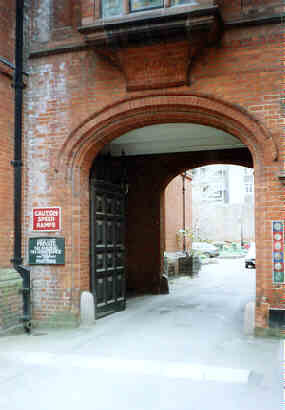 Angel Court takes its leave of the thoroughfare named after Sir Nicholas Throgmorton's through an unpretentious brick archway. Bordering its sides there are modern buildings on the right, while the left side is taken up by the older walls of the Natwest Bank. It was surely a more welcoming place when the landlord of the hospitable old tavern filled so many mugs that ale flowed over its doorstep. From Piccadilly Circus walk west along Piccadilly and turn left into Duke Street St James's. Continue to the end of the street and turn right into King Street. Angel Court is about 70 yds on the left. There is no disputing that this is one of the most attractive courts in London, but what else might we expect to find in a tributary of Pall Mall, the street regarded by many to be the most handsome in London? 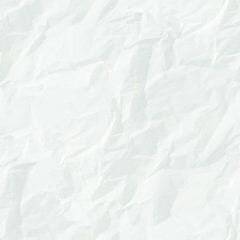 Angel Court comes as a complementary asset to the surrounding class; it sits elegantly amid its equally elegant neighbours comprising of world famous names like Christie's, and clubs of the highest renown sporting handles such as Carlton, Boodle's, and White's. Although the overall atmosphere in Angel Court is modern, the stately charm of the 17th century - when the Angel tavern stood here - still largely prevails. Wending between its two covered entrances the most outstanding visual feature of this Court is the display of numerous planted flower baskets; they form a picturesque scene on the dullest of winter days but in the summer months are a bloom of colour. 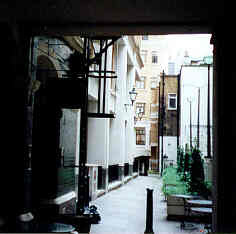 Adjacent to the west side of the Court, in King Street, is the site of the departed St James's Theatre. It was built in 1835 and in 1892 staged the first performance of Oscar Wild's 'Lady Windermere's Fan'. Three years later they rang up the curtain on the first production of his roaring success 'The Importance of Being Earnest'. Despite the vigorous efforts of celebrated campaigners including Sir Laurence Olivier and Vivien Leigh, who went to press her case from the Strangers Gallery in the House of Lords, the theatre was pulled down in 1957. Two years later the site was taken over by St James's House, and to recall their association with the theatre, the modelled heads of Vivien Leigh and Lawrence Olivier are displayed on one of the panels. On the opposite side of the Court, and built about the same time as the theatre, is the Golden Lion public house. It was quickly established as a sort of reception annex to the theatre, being frequented before, during and after performances by actors and audience alike. Now that the theatre has gone the clientele consist of local residents, local employees, visitors, in fact anyone who does not quite fit into the 'my club' bracket. Like Angel Court in EC2, this is the site of one of the many Angel taverns which sprung up around the City in the 18th century. A couple of hundred years ago there were as many as 60 alleys, courts and passages bearing the name of Angel. Angel Court and Angel Passage are all that now remain within the City boundary; the rest have either suffered a change in their names or have been demolished. Not too long ago the south side of Upper Thames Street was made up of a warren of tiny thoroughfares all leading down to the river. Whilst some of these narrow ways still remain, the vast majority have either been transformed into wide access road or have been obliterated. 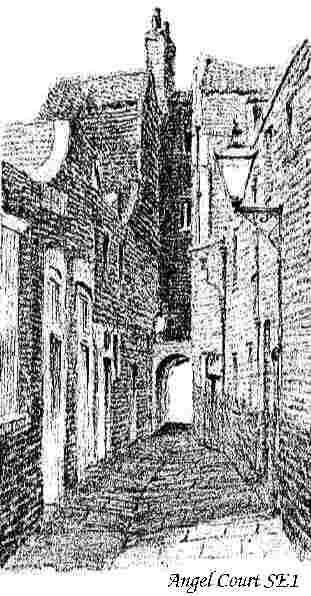 Unlike some of the City byways - those that can be passed by in the blinking of an eye - Angel Passage has been transformed into dimensions far beyond those expected of a City of London passages. It exists as a relic of the old time in nothing more than name. On both sides a grotesque bulk of concrete offices overshadow any faint visions in the mind's eye of quaint taverns, bowling greens, or rollicking drunken evenings. At the southern end of Angel Passage a Thames-side walk has been newly constructed with seating and shrubbery. From here there are excellent views of the River, London Bridge, and the 163 foot high tower of Southwark Cathedral. Off the north side of Long Lane, opposite St George's church. Only a few strides from the junction with Borough High Street. The history of the Marshalsea and the King's Bench Prisons is more than slightly confusing due to the rebuilding and the loose terms applied in those days to each prison. Marshalsea was closed in 1842, twenty-eight years before the death of Dickens (1870) but the King's Bench continued to receive prisoners until 1869. Angel Place still has pitted old red bricks resembling those surrounding the prison. On the site of that dreadful place is a tatty garden reached from the passage by ascending a few steps and passing through the wrought iron gates. When taking a stroll down here, the aspect may be vaguely similar to the view that Dickens experienced, although not quite as daunting, but you can still pick up the flavour of the old times. On the west side of Regent Street (south of Piccadilly Circus) turn right into Jermyn Street. In about 180 yds turn left into Duke of York Street and Appletree Yard is on the left. Today we might approach Appletree Yard with a degree of wary reservation, but until the late 17th century it would have been a gracious honour to be invited to stroll around these grounds. The story of St James's began in the 11th century, or as John Stow preferred to put it 'before the time of any man's memory'. It all started with a lonely hospital lying in the fields west of Edward I memorial to his deceased queen (Charing Cross). These were the times when the risk of becoming a victim of leprosy put hysterical fear into the minds of every man and woman. So contagious was the disease that the only effective guard against infection was to keep those stricken with the illness locked up as far away from civilisation as possible. The hospital of St James in the Fields was ideal, and in the 12th century it was transformed into a place for the confinement of 'fourteen sisters, maidens, that were leprous, living chastely and honestly in divine service'. In 1530, when Henry VIII was on the lookout for a base from which he could hunt in the western reaches, he seized on the idea of converting the hospital. All fourteen of the maidens were moved to another location and granted a life-long pension as Henry proceeded to demolish the buildings. Here he built himself a 'goodly manor' surrounded by parkland and all enclosed within a 'wall of brick'. The great expense to which Henry extended may have seemed at the time an unnecessary extravagance, for he only used the lodging very occasionally. Successive monarchs disregarded the manor until Mary I took a liking to the place, making it her private residence, and there she died in 1558. During the reign of Charles II, Christopher Wren was commissioned to carry out extensive alterations which included the building of a chapel and state apartments overlooking the grounds. From that time the manor, as it was still known, was in regular use. James, Duke of York, took up residence prior to being crowned James II and when the Palace of Whitehall was destroyed by fire in 1698 William and Mary made it their principal home. It was then designated as the official residence of the British Monarch and named St James's Palace. However, to return to Appletree Yard - although I have not really strayed from it... As already stated, Henry surrounded his new house with luscious greenery, the envy of all who set eyes upon it. He also laid out flower gardens, vegetable plots and, to the north, orchards of many trees. In these grounds strolled the generations of kings and queens, entertaining their guests, drinking, eating, and getting extremely merry. Around the site of this Yard, the gardeners pruned and tended the trees that bore the apples that filled the fruit bowls of the royal houses. They continued to yield fruit until the end of the 17th century when most of this area was taken over for development and Appletree Yard was built. Samuel Pepys noted in his diary for 1688 that he did 'steal some apples off the trees' in the King's garden. Some of the trees were allowed to remain during building and were still bearing fruit when the properties were first occupied. At the time of street naming, the preference for the Yard was obvious. � No reproduction, copy or transmission of this publication may be made without the written permission of the author .